If you don’t know how to use mIRC, we are going to give you a basic guideline for you to use this program. 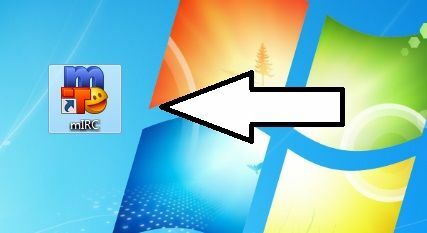 We have already told you how to download and how to install the software for you. If you haven’t download it yet, you can learn how to get it to your computer by How to Chat Online. If you would like to use mIRC but you don’t have any idea about usage of the program, you can follow our guideline on here. You don’t need to register or download another program for using the software. It is very simple and easy. Let’s begin to tell you how to use it and configure settings. Click on mIRC icon on your browser twice to run program. If firewall settings warn you about security of your connection of computer because of software, please allow mIRC. Now your information in mIRC options is full set! However you will need to pick a good server to connect. We recommend Undernet, ICQ or DalNet for that. You will find many people to talk on these servers. Best is DalNet for starter. So click on Servers from the left side of the box. You will see files of servers in this section. Click twice on file just click is located near of DALnet. 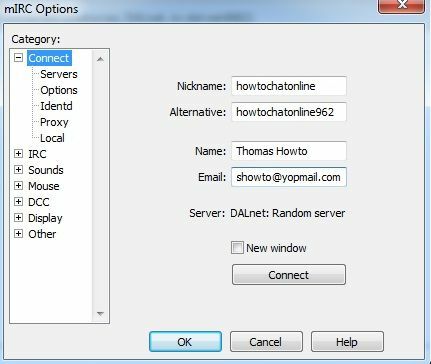 It will make you see server options of DALnet and click twice on Random Server to connect best server of the IRC service. After you click on Random Server twice, it will reconnect you to main page of mIRC options. You are done with settings and you are ready to connect to server. Click on connect button. Wait until you connect to server. When you see mIRC favorites window in your screen it means you have connected or if you see that “<yournickname> sets mode: +i” line in your screen you have connected. Please close mIRC favorites window. Now you need to take a look at channel list of server. You need to join a chat room with many online members. Click on channel list button. It’s in top bar of the website like we have show in the picture below. After you click on the button you will see a new screen in the program. Please click on “Get List” button now. Now chat rooms will start to load in your screen, wait until they all appear on your screen. It will be about 30 seconds. Then select a crowded chat room from the top of the list. Some rooms are location based or country based. You can select one of them as you wish. (Eg: If you join #Jakarta you will generally meet Indonesian people. If you join #chat-world, you will meet people from random countries). 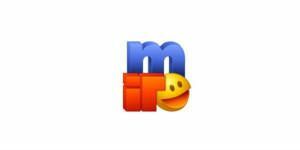 Click twice on chat room name and go through chat room. Now you are in a chat room, look at nicknames from right sidebar of the chat room and select a chat partner for yourself and click twice on his/her nickname. To find more people to chat with return to channel from left sidebar of the program and look for another partner to chat with from the nickname list. You can click on the nickname and return to chat page which you are talking to that person. If you have questions about usage of mIRC and about configure settings, you can comment this page and ask any questions you want. We are going to respond you. as soon as possible.